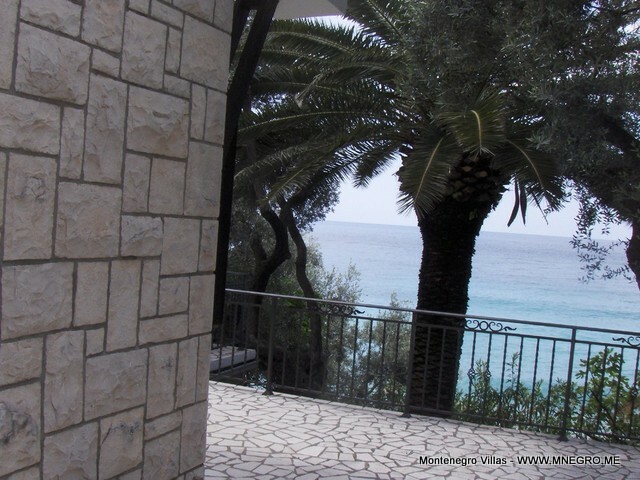 ME114 VIP Exclusive MONTENEGRO Villa Directly On The Beach St Stefan | MONTENEGRO Villas 2019 rental UNIQUE Vacation for You !!! 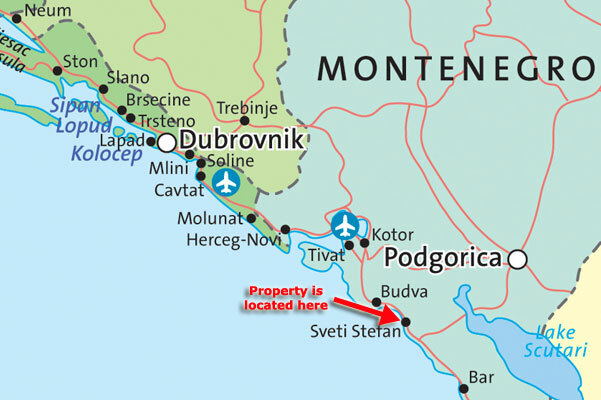 ME114 VIP Exclusive MONTENEGRO Villa Directly On The Beach St Stefan – MONTENEGRO Villas 2019 rental UNIQUE Vacation for You !!! 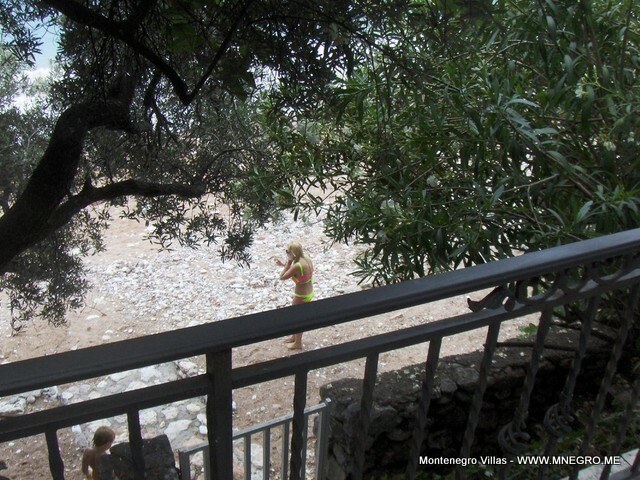 The villa offers direct private access to the beach and wonderful turquoise Adratic see. 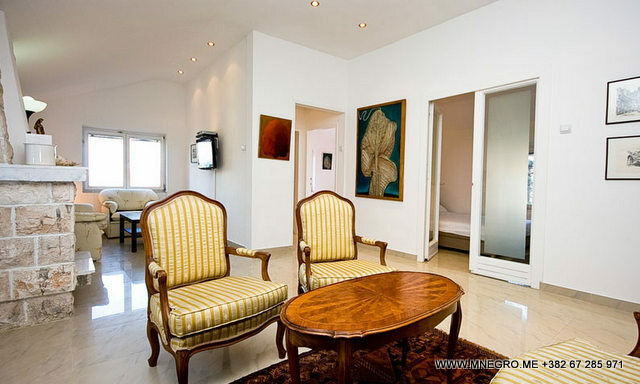 It was built in 1960, and fully renovated in 2009.The villa is surrounded by a traditional Mediterranean garden with olive, fig, palm, and lemon trees – providing complete privacy and comfort to its guests. The villa is split in 3 levels and has 3 kitchens witch have been stylishly designed and each includes oven, four ring hob, fridge freezer, microwave, toaster, kettle, dishwasher and additionally all other cooking utensils and cutlery. 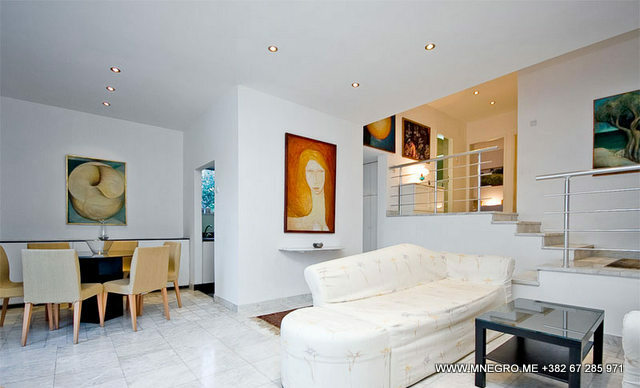 The property is divided into three separate levels, meaning that the property has three separate living areas for guests stay.The living areas on each floor include comfortable sofas, air con,Satellite TV, DVD player,Stereo and Internet access free wi-fi. Cleaned on a daily basis with a fresh set of bath towels replaced every third day, and bed linen replaced every fifth day. There is a maid on hand, to help guests with anything they may need, and extra cleaning can be arranged if required. Air Conditioning, Cable, Cot, High Chair, Internet Access, Telephone, TV. The property has a lovely shaded garden area. 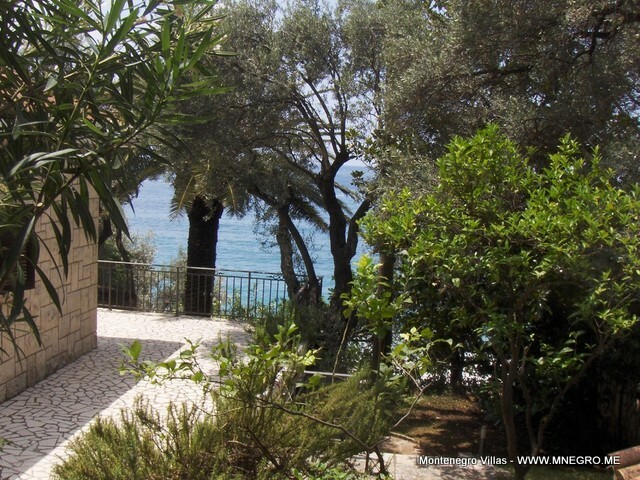 The villa is located right in the seafront, however it has lovely trees in the garden which provide a great sanctuary from the sun and also great privacy. 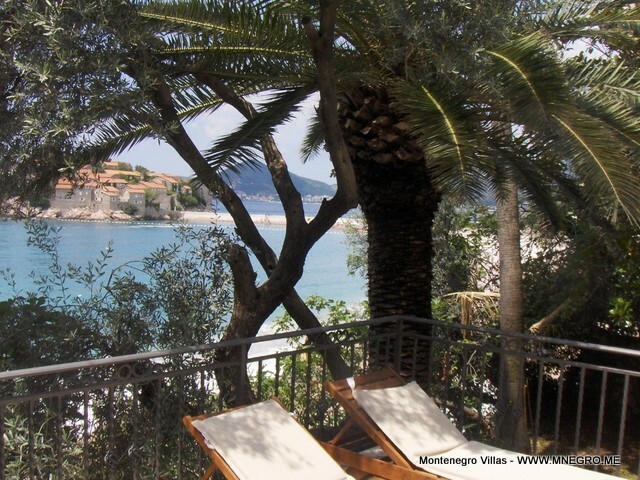 It has a collection of terraces on each floor which have great sea views. 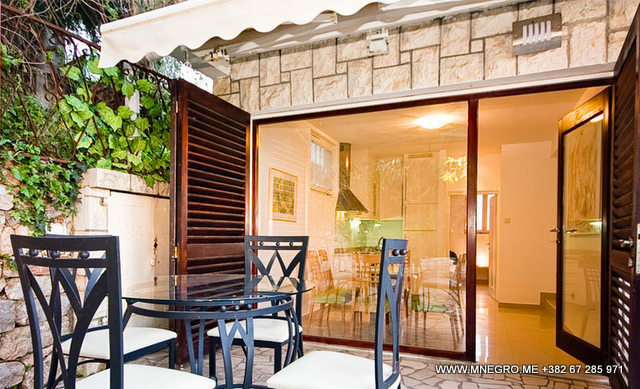 The garden has outdoor furniture and a stone barbecue, making it a pleasure for guests to spend time together outdoors. 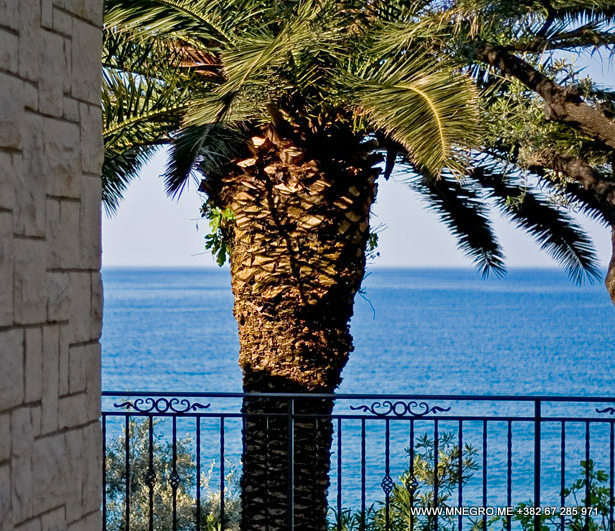 The garden also has its own private staircase, which leads guests down through a gate onto Sveti Stefan beach, considered one of the best in Montenegro.